﻿ ASSOCIATION of KSPH Graduates – Казахстанский Медицинский Университет "ВШОЗ"
Congratulations on this memorable day, the day you finally walk out the doors of the Kazakhstan’s Medical University “KSPH”! It is very important for us to know how your future will unfold, your life path! Fill out the Alumni application form, send us your photos and become a member of the KMU “KSPH” Alumni Club. We will include you in the electronic Alumni album. From the letters of graduates. Dear and favorite of 2005 – class of managers, Saule Nurakynovna! I congratulate you on the upcoming medical workers day, from the bottom of my heart! You make a great contribution to the development of health care, by teaching executors and facilitators of healthcare. To this day we love you, along with your team, think back to our 10 months together that we spent studying in our favorite KSPH as something beautiful and fun. Thank you for creating such great conditions for us to study and relax, for always being with us, it was a part of my life, full of new interactions, new knowledge, discovering new things, creativity and art, and maybe for most of us the time when stepped onto the path of leadership activities. We remember everything about everything as if it has happened today. I wish you good health, prosperity, success, fulfillment of all of your cherished dreams. Please say Hello to everybody from me. Respectfully yours – Zauresh Sarbayeva from Kyzylorda – president of 2005 class of managers. The city polyclinic #4, Astana, head of the General Practice Department Education at KSPH was an interesting and useful period in my life. While studying at this school, I have acquired many valuable skills and knowledge that helped me execute the work of the department more efficiently and effectively. In addition, during the 10 months of studying I have acquired many new friends, both among the classmates and the University staff. State Center for Healthcare Development, leading researcher of the Science Department Research Review Unit In my opinion, KSPH is one of the best institutions of our country, which deals with post-graduate training of professionals with medical background. The enthusiasm and professionalism of the KSPH personnel can be observed from the first minute spent in school and for a long time remains in memory. Karaganda Regional Children’s Clinical Hospital, deputy director on medical work KSPH is a unique educational institution of higher professional education. Undoubtedly, the School’s advantage is its democratic and advanced educational nature. 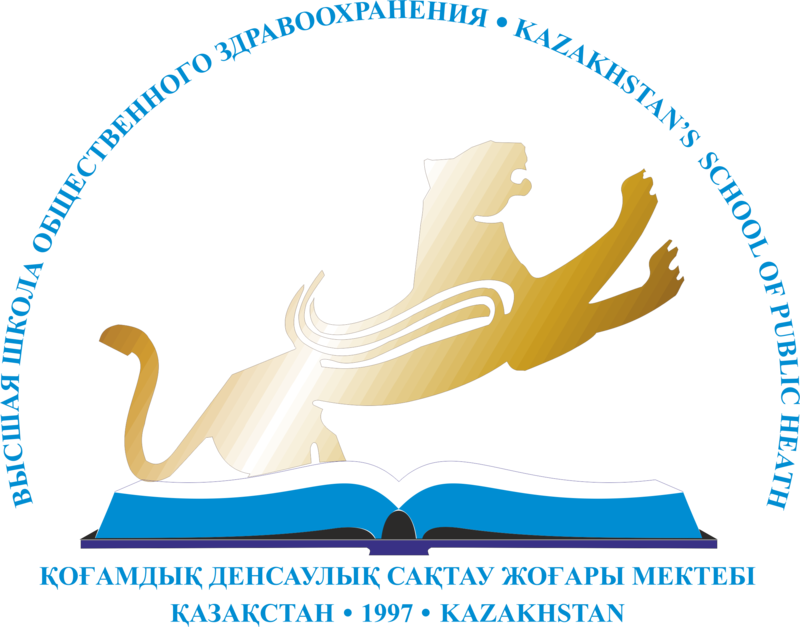 Republican Center for Innovative Technologies in Medical Education and Science, Science Consultant The Higher School of Public Health is the cradle of health professionals in the Republic of Kazakhstan. It is the leader in public health, where there is good integration of education, science and practice. The knowledge embedded in us by the teachers of the School, helps to loudly declare itself in any field of medicine and build our own creative path. For each graduate of the School is proud to call him/herself that. “National Research Center for Maternity and Childhood” JSC, science manager Two years of study at the School helped me to prove to be a good specialist in the field of medical science and public health. The volume of knowledge gained during the studies allowed me to become an equal participant in scientific and technical programs as well as foreign projects. “National Medical Holding” JSC, Strategic Development Department manager The school, in a short period, has created a special paradigm for public health professionals. The presence of like-minded people and confidence in the correctness of the chosen path is the key to success in any business. Republican Center for Development of Health Care, Head Specialist of the Medical Technologies Evaluation Department of the Center for Standardization and MTE KSPH gave me the essentials for improving my knowledge and its application. I’m proud to say that I’m a graduate of this school and of course I wish it much prosperity, and also that we are recognized not only in Kazakhstan, but also in other countries. Health services reimbursement committee of the Ministry of Health of the RK, expert I want my school to become one of the competitive academic institutions of the world. In my opinion, currently it has all the resources necessary for the achievement of this bar. SPUE City Polyclinic No. 21, deputy chief physician It is useful and interesting to study for Master’s. Whilst studying, I significantly improved my professional qualifications, got acquainted with the topical problems of theoretical knowledge and the peculiarities of practical activity. Central Hospital No. 1, Satpayev City, Head of the Neonatal Pathology department I wish prosperity and success to all KSPH staff and graduates!!! Kyzylorda region Quality Control Committee of the International Diabetes Federation of the Ministry of Health of the Republic of Kazakhstan, Head of the Certification, Accreditation and Licensing Department The school encourages each participant of the educational process to express himself as a free, rational, creative thinking person, to develop their potential opportunities by skilfully providing all the conditions for obtaining quality education and invaluable practical experience in the field of public health. Public Association “Academy of Preventive Medicine” in Astana, head of the Department of Health Nutrition in the northeast region KSPH is home! I would like to express my deep gratitude to the staff of the University for the training we received during 2 years! The competence of the teaching staff is admirable! After all, human perfection has no limit! I wish KSPH growth, development and prosperity! The City Center for Human Reproduction, deputy chief physician for quality control In the process of studying for my master’s, I significantly improved my professional qualifications and this is all thanks to the University. I would like to express my gratitude to the staff of the KSPH! Head of the Department of State Sanitary and Epidemiological Surveillance in Auezov district of Almaty city I am grateful to the University for providing me with useful and necessary knowledge for my work, and I have also acquired friends with whom I still keep in touch! I want to wish prosperity and success to KSPH. Thank you KSPH! Through the training school has received new knowledge for the management of health, has received a lot of new interesting information. There desire to put their knowledge into practice. There are many new thoughts and ideas that want to try in their work. Thanks to the high quality of knowledge in the work you feel confident. I would like to express my gratitude to the teaching staff of the school for the interesting, accessible and quality information. I would like to wish the school further prosperity to your work has brought good fruit. Thanks to the training I’ve received at the school, I’ve acquired new knowledge on health management and a lot of new interesting information. There was a desire to put my knowledge into practice. Many new thoughts and ideas that I wanted to try at work started coming into mind. Thanks to the high quality of knowledge gained, I feel more confident at work. I would like to express my gratitude to the teachers of the school for interesting, accessible and high-quality information. I want to wish the school further prosperity so that your work brings good results.